Do you break the rules of good grammar? Today’s post is an excerpt from 10 Core Practices for Better Writing. Enjoy! Everyone knows the old saying: rules were made to be broken. But some people love rules, live by them, and wouldn’t dream of breaking them. For these folks, good grammar means strict adherence to every rule, no matter how archaic or minute. Don’t get me wrong. Rules are good. They keep us organized, consistent, and civilized. If there were no rules, we’d all be living in a perpetual state of anarchy. In the world of language, rules help us understand each other. After all, language is merely a series of sounds that are organized according to a set of rules. Without rules, language would just be a bunch of noise. The rules of grammar are designed to help us communicate clearly, both in our speech and in our writing. When proper grammar is absent, writing is sloppy, inconsistent, and difficult to read. To put it bluntly, we need grammar in order to make sense. When a writer hasn’t bothered to learn the rules of grammar, it shows. The prose doesn’t flow smoothly or naturally, punctuation marks are strewn about haphazardly, and there’s no sense of clarity. Sentences are jumbled, words are misused, and paragraphs are disorganized. It’s a mess. The work is lazy and sloppy. Nobody wants to read it. Failing to learn the rules of grammar leads to bad writing. But some writers stubbornly refuse to bother with grammar, and they’re full of excuses: writing should be an art, the rules don’t make sense, and who made up these rules anyway? But these are all just excuses, poor rationale for avoiding the work that is involved in learning grammar and applying it. Grammar is not easy to learn, let alone master. 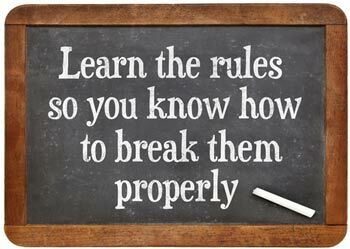 Writers, editors, and proofreaders must make a lifelong commitment to learning the rules and determining when the rules should be broken. Writers who are dedicated to their craft will invest the energy required to master their most basic tools, grammar being foremost among them. But there are situations in which it’s best to break the rules—as long as you know which ones you’re breaking and why. 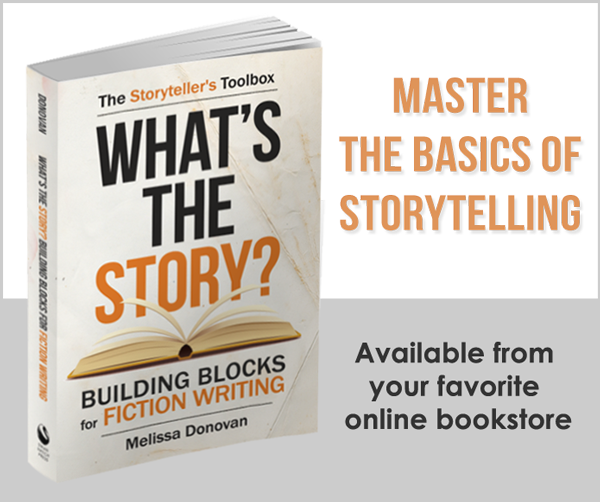 There’s a difference between breaking the rules to make the writing more effective and breaking the rules because you don’t know what they are. When we break the rules of grammar, one of two things happens: either the writing improves or it suffers. Writers who break the rules because they don’t know them are more likely to produce shoddy work. But when writers take the time to truly learn the rules, breaking them becomes an option, a technique that a writer can employ to add flair, color, and meaning to the text. Sometimes sticking to the rules doesn’t make sense. This is especially true when we’re writing dialogue. People don’t speak in a manner that translates easily into proper grammar. So if our dialogue is written according to the rules of grammar, it can sound unnatural. Additionally, many grammar rules were established a long time ago. Language is constantly evolving. If a particular rule makes the writing sound old-fashioned or outdated, then discarding the rule is probably the best option. Here’s my advice: Learn the rules as thoroughly as you can, and then decide how to apply them on a case-by-case basis, depending on the audience and context. And keep writing! Was going to share your article, but then the photo that attached was one selling your book. 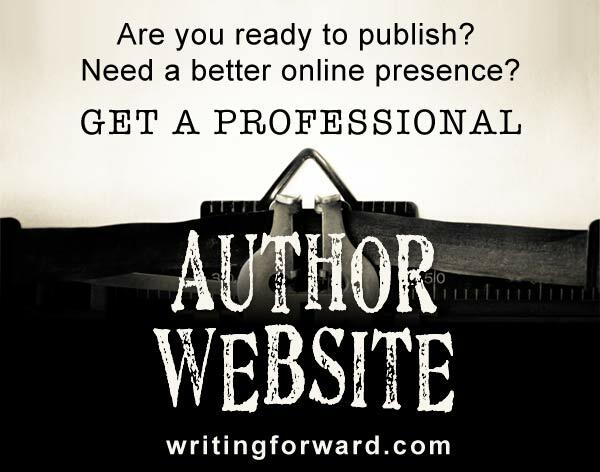 I will not use any of my writing sites to share an article which has an ad attached in the link. The only photo attached to this article is the one that appears at the top of the page (the chalkboard). Often when we share images, the social media network pulls all images that appear on the page; this allows you to choose which one you share the post with (in case there are multiple images within any post). On Facebook there are arrows that allow you to cycle through the images and choose the one you want to use. Pinterest offers an array of all images on the page and you simply select the one you want to use. Twitter will automatically show the chalkboard image. You can also check out Writing Forward’s social media accounts, where the chalkboard image is used to share this post. I can assure you that the book promo is not attached to this post specifically; it’s showing up because it’s displayed in the sidebar and post footer. Thanks!